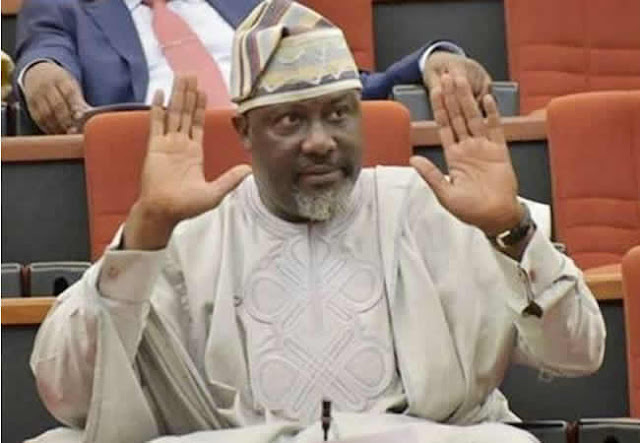 Eight days after holing up at his residence to avoid arrest by policemen for alleged culpable homicide , Senator Dino Melaye has left his Maitama home to meet with the Inspector -General of Police , Ibrahim Idris , at the Force headquarters . It was gathered that senators who visited the lawmaker at his residence on Friday went with Melaye to see the Police boss, apparently to resolve his issues with the Force . Over 50 policemen had stormed Melaye ’ s mansion last week Friday in an attempt to arrest him for interrogation over the alleged shooting of one Sgt . Aliyu . The policeman , who is said to be lying critically ill at the Federal Medical Centre , Lokoja , was said to have been injured by suspected thugs loyal to the senator in Kogi State last July. But Melaye , who represents Kogi West in the National Assembly , had barricaded himself in his home and refused to surrender for arrest . Instead , he had been posting defiant messages on Twitter , saying he would not surrender to the Police .